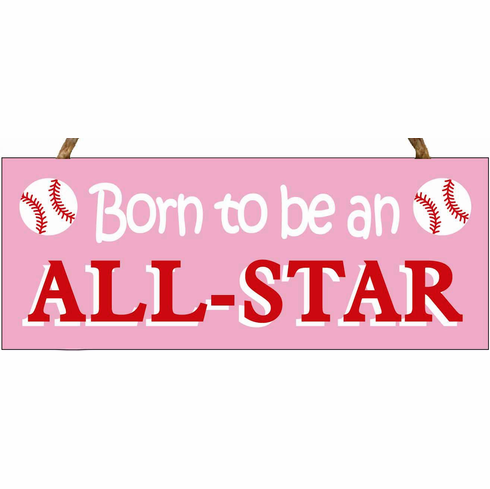 This unique wooden baseball sign is perfect for any future softball or baseball all-star's room! Pink, white, and red graphics. 4" tall x 10" wide x 1/2" deep. Everything Baseball Exclusive. Made in U.S.A.